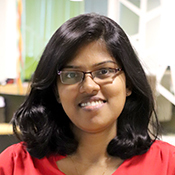 Amalka is an associate technical lead at WSO2. She works in the financial solutions team at WSO2 and focuses on the product development of WSO2 Open Banking. She has experience working with WSO2 Cloud technologies and has worked on several customer engagements onsite.